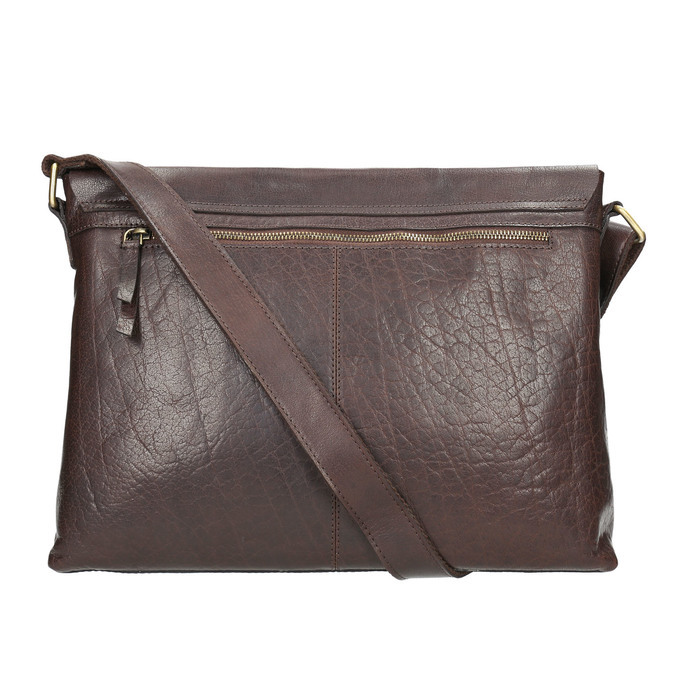 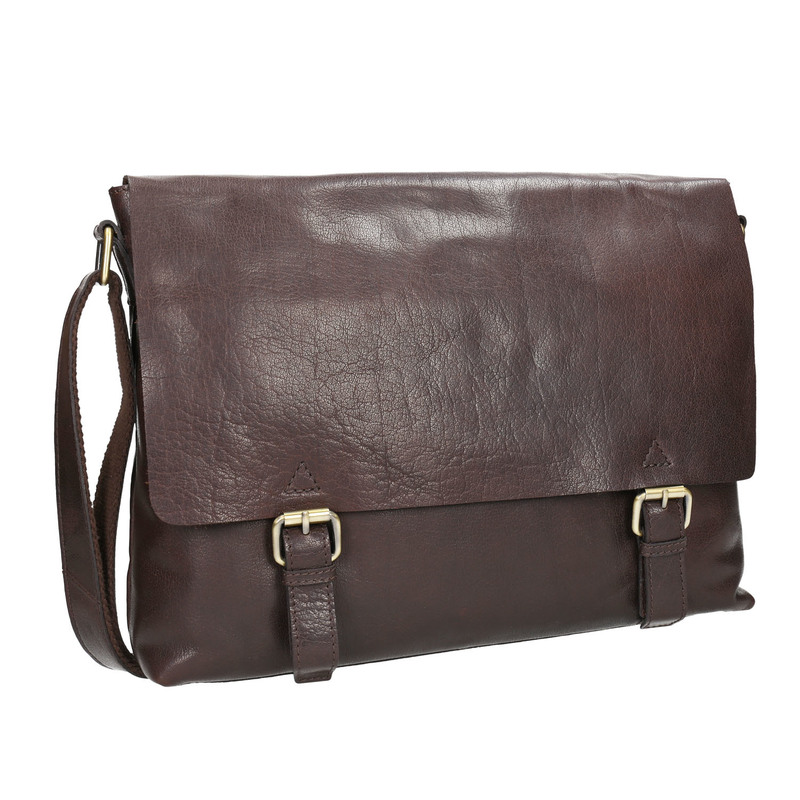 This crossbody-style men’s bag has a timeless, minimalistic cut, and the dark brown leather upper features unique buckles. 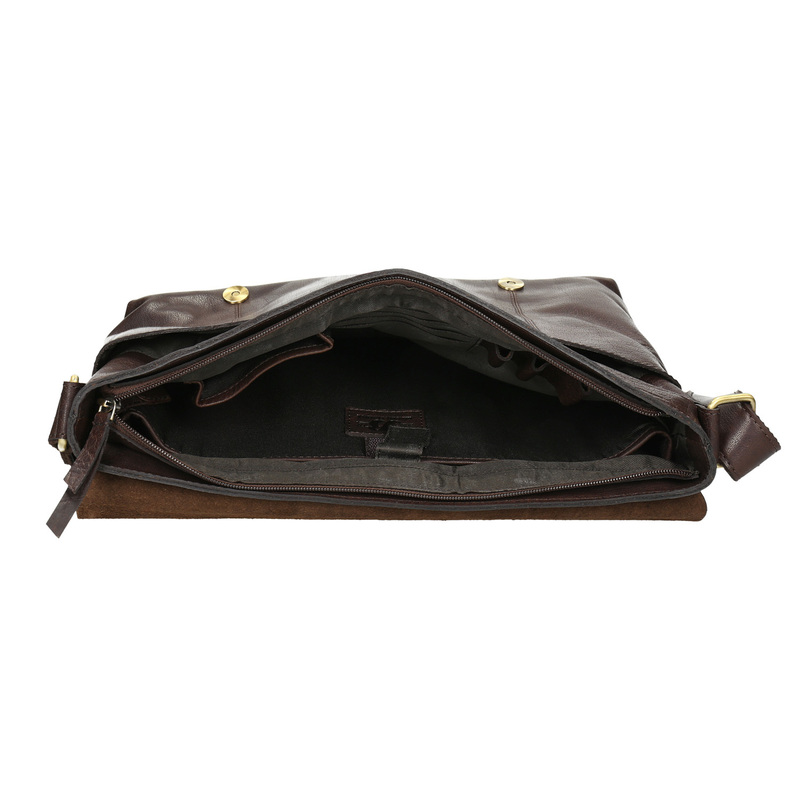 The inner compartment can handle all of your essentials, and there is also a practical zip pocket on the reverse side of the bag. 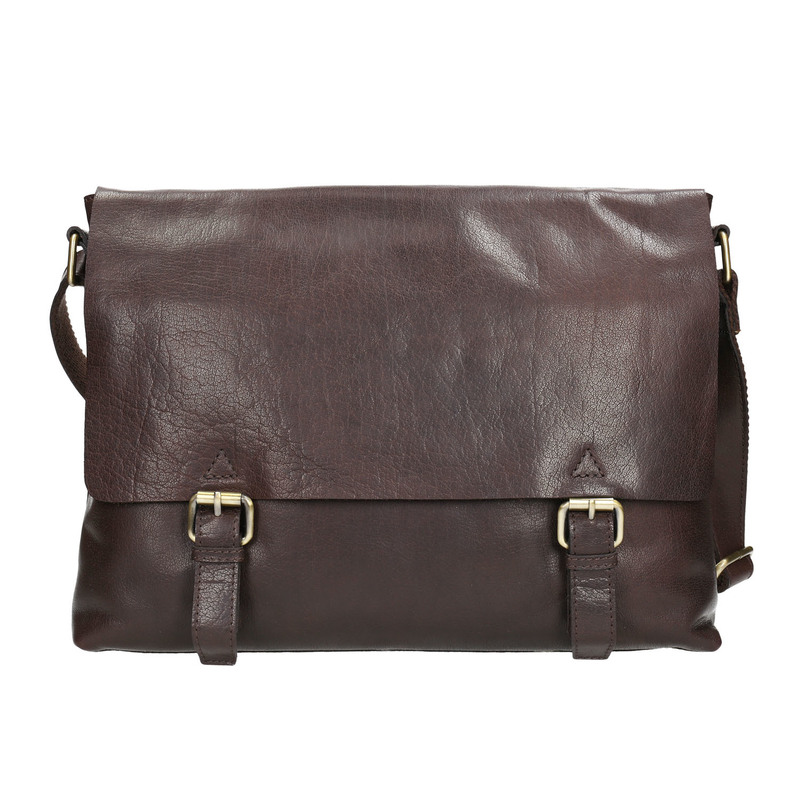 This bag is the perfect choice for work or leisure, and will be a great finishing touch to dark-coloured chinos or jeans and a t-shirt.